Established in the year 1985, Golden Hydraulic Industries is engaged in manufacturing and supplying a range of Brick Making Machines and Paver Moulds. Our range of products includes Brick Making Machine, Plastic Paver Mould and Plastic Chequered Mould, among others. Having adhered to industry-set guidelines, our products have been appreciated for being user-friendly, for their sturdy construction, low maintenance, supreme efficiency and long shelf-life. Each of our products are thoroughly checked by our quality control unit over a series of parameters. Our machinery are widely demanded for making bricks, pavers and mixing hard wearing material in various industries. With over 30 years of expertise, we are delivering excellence. To sustain our reputation among clientele, we are constantly looking to innovate and refine our machinery. This is why we have invested heavily in a state-of-the-art infrastructure unit, which is equipped with only the latest machinery and technology. 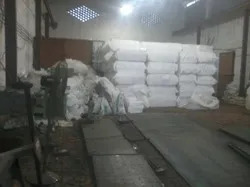 Besides establishing a wide distribution channel that enables us to carry forward timely delivery of assignments, we are looking to upgrade our processes to endure our high production rate. We have segregated our workforce into several units namely manufacturing, warehousing, sales and marketing, R&D and quality testing. Each of these units work hand-and-glove to ensure a smooth workflow. Our exporting countries are UAE, Golf Countries etc. We are guided by Mr. Rahisuddin Saifi – our CEO and Mentor. Thanks to his vision, ethics and client-friendly approach, we have acquired the trust of our wide clientele across the nation. Salasar Techno Engineering Pvt. Ltd.
Manufacturing and Trading of Brick Making Machine And Plastic Paver Mould. We are supported and driven by a closely-knight team of highly skilled professionals. Each of our employees are appointed on the basis of their past track record, passion for machinery and creative skill, after passing a series of stern examinations. To keep them apprised of changing market trends, we regularly conduct workshops and seminars. We have been successful because of our dedicated team of experts – who work tirelessly to fulfil every client’s needs. 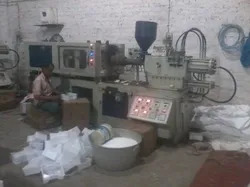 Our machinery is widely appreciated for their unmatched quality. Our warehousing and packaging unit ensures timely delivery of our products, but not before they are strictly examined by quality inspectors. We offer machines to our clients based on different technical specifications as per their necessities. Also, we are interconnected with a wide distribution channel that enables us to deliver the offered machines in a safe and timely manner. Spread across a wide area of land, our high-tech infrastructure unit comprises of a warehousing unit, a manufacturing unit, quality control unit, R&D and sales and marketing unit. Our installed machinery is regularly maintained, greased and repaired to ensure steadfast production rate. Due to these units, all the processes are carried out in an efficient and streamlined manner. Having delivered a quality consignment of products for three decades, we have emerged as the leading choice of a huge clientele. Besides their excellent quality, our products – which can be customized to meet a client’s specifications – are renowned for their user-friendly attributes, easy maintenance, sturdy construction, rust proof qualities and long shelf-life.